Jürgen Essl studied organ in Germany and France with Ludger Lohmann and Francis Chapelet, later completing his studies in Vienna with Michael Radulescu. 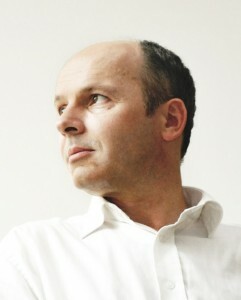 A Professor at The Hochschule für Musik und Darstellende Kunst Stuttgart since 2003, Jürgen Essl has also served as Professor for Organ at the Musikhochschule Lübeck and an organist at the Castle Church of Sigmaringen. He has released several recordings of improvisations available through www.ORGANpromotion.org. He is a co-founder of the International Summer Academy of Music – ISAM in Ochsenhausen, Germany. This entry was posted in Organist and tagged Francis Chapelet, German, Jürgen Essl, Ludger Lohmann, Michael Radulescu, Stuttgart. Bookmark the permalink.